Black Garlic Extract Extract Balls are fermented black garlic extract, the highest quality available from Aomori, Japan. This fermented black garlic is first ripened for one month. Then, through the enzyme action in the process of fermentation, the garlic takes on a black color while the active ingredients are boosted by about seven times which pumping up the antioxidant effects, through this process that the toxic substances and odor are removed. Garlic has long been recognized for its excellent health benefits, and Umeken's fermentation process uses the latest technology to make the garlic even more powerful. Allicin, which is known to be the primary nutrient in garlic is reborn through this fermentation process to achieve excellent health benefits. Umeken Black Garlic Extract Balls even contain zinc-packed oyster extract, another nutrient that gives men better health and stamina. • Garlic that has been fermented for a month to increase its efficacy and nutrient levels while eliminating the garlic’s strong odor and natural toxicity. Garlic is especially good for men. There are inscriptions on Egyptian pyramids depicting the pyramid builders consuming garlic for great energy and stamina. 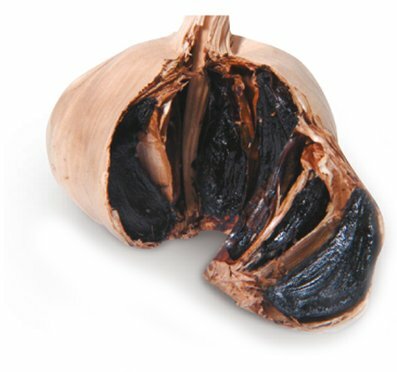 What is so good about “black” garlic? Compared to regular garlic, “black” garlic is a much stronger antioxidant, proving to be 10 times more effective in removing free radicals (common cause of many disorders). Black garlic also contains anthocyanin, which is an antioxidant not found in regular garlic. In short, black garlic has naturally amplified the beneficial elements of garlic. What is so special about Umeken Black Garlic Extract Balls? Fresh garlic cultivated from Japan’s Aomori region is carefully selected and put through a special month-long fermentation process. The black garlic is developed to maturity under strictly-controlled temperature and humidity levels to ensure its quality and potency. During the maturation process, the garlic turns black, and its efficacy and nutrient levels rise. Umeken uses its advanced technology to then extract the black garlic into a ball form. Who should take Umeken Black Garlic Extract Balls? 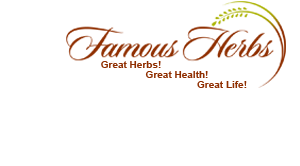 Black Garlic Extract Balls are recommended for those interested in the following health benefits of black garlic: energy and stamina, immune system, blood pressure health and cholesterol health. Propprietary Blend: Black Garlic (fermented garlic bulb) Paste, Oyster Extract Powder, L-arginine, Japanese Plum (Prunus Mume) Fruit Concenrate, and Garlic Bulk Extract Powder. Other Ingredients: Soy Fiber, Glycerol, Corn Fiber, Oyster Shell Powder, and Starch. Click the button below to add the Umeken Japanese Black Garlic EX Extract Balls (180g) to your wish list.